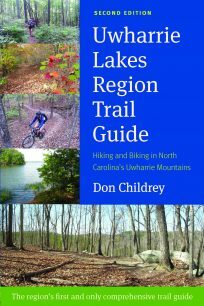 Exploring a trail or place for the first time offers the excitement and anticipation of discovering the unknown. What interesting things will you see? What neat experiences will you have? What will you find around the next bend? Discovering the answers to questions like these is the fun part of a trip. I want to help you enjoy the fun part to the fullest by providing information to get you there and inspiration to get you moving in the first place! 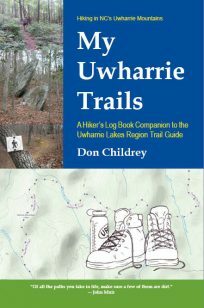 My first trail guidebook, the Uwharrie Lakes Region Trail Guide, is now out in an updated second edition. 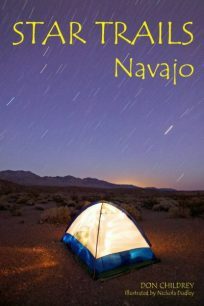 To guide you across a campsite view of the starry skies, Star Trails - Navajo is available in paperback or Kindle versions. Hiking, walking, trekking, backpacking. Exploring the world on your own two feet. Two roads diverged in the woods - don't you want to see where both of them go? Biking is like hiking, just with two wheels. Riding feels like flying. Downhills go faster. You can see more of the world in a day. Panniers can save your back. Motorcycle travel is like biking, with much easier uphills. You get more wind in your hair and bugs in your teeth. You can get through the boring stretches a lot quicker. Drone images of Morrow Mountain area courtesy of Scott Harrington.